"Raila or no, I will face President Uhuru Kenyatta, people are tired of the two people," says Ekuru Aukot. - Bana Kenya News, Real African Network Tubanane. Home featured News "Raila or no, I will face President Uhuru Kenyatta, people are tired of the two people," says Ekuru Aukot. "Raila or no, I will face President Uhuru Kenyatta, people are tired of the two people," says Ekuru Aukot. 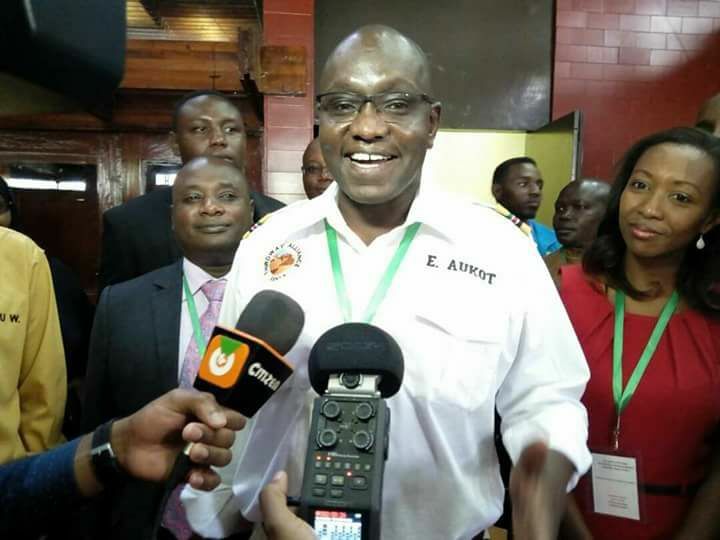 The third-way alliance candidate Dr. Ekuru Aukot has shocked his people by claiming that IEBC will continue with the elections. He said that elections will proceed as he decided to drop all the demands. "The fresh election cannot be predicated on the decision of one candidate. If one candidate chooses to withdraw, Kenya cannot come to a standstill," Dr. Aukot told journalists in Nairobi following repeated comments by Mr. Odinga that there will be no election after he withdrew. "Raila Odinga will or will not be on the ballot, the elections will continue as planned because as long as there are two people on the ballot paper that will be fine," Aukot said.
" President Uhuru Kenyatta is just like any other and I'm prepared to face him off the seat. The next president will be Dr. Auko. These people have been taking us for a ride and for long." he added. IEBC has decided to proceed with the elections as planned. According to the chairman Wafula Chebukati, the elections will continue as the NASA leader did not withdraw from the race officially and according to with the law.